LABELLE, Fla. (AP) - An endangered Florida panther has been struck and killed by a vehicle. 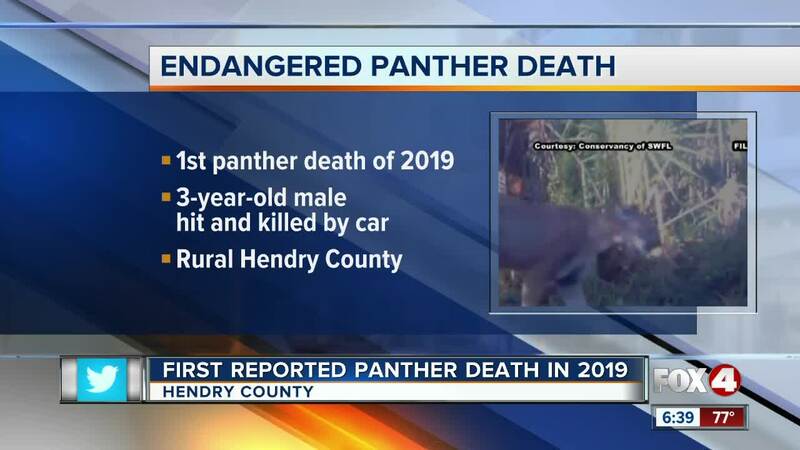 It's the first panther death reported this year. The Florida Fish and Wildlife Conservation Commission says the remains of the 3-year-old male were collected last week on State Road 80 east of LaBelle in rural Hendry County.